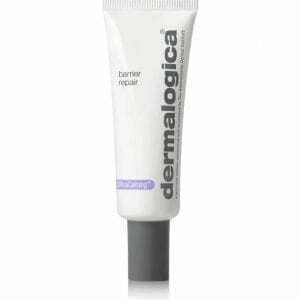 Velvety moisturizer helps fortify sensitized skin with a damaged barrier. Use this unique anhydrous (waterless) moisturizer after toning to help shield against environmental and internal triggers that cause skin stress. Our exclusive UltraCalming Complex contains Oat and botanical actives that work below the surface to interrupt inflammatory triggers that lead to sensitization, while helping to minimize discomfort, burning and itching. 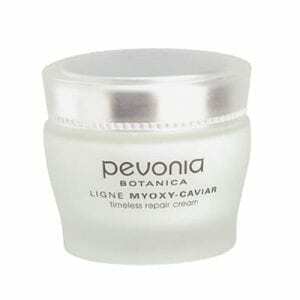 Pevonia Timeless Repair Cream, enriched with Caviar, Pearl, and EscutoxTM (Pevonia-exclusive blend), is drenched with potent actives to effectively counteract aging. Delivers immediate cooling, strengthens capillaries and controls blotchiness.